In the ideal world, Jewish education begins in childhood, however no two souls are alike and some never had such an opportunity. Until now, Jewish education has been pricey. But luckily, there is the Kollel. The Kollel provides a range of Jewish learning options for the community. We cover topics such as: language, spirituality, and religious and secular law. These Food for Thought weekly sessions involve students in discussions on various topics in Judaism. 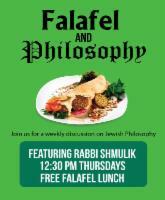 Rabbi Shmulik brings a more meaningful perspective to life and lunch is served, compliments of the Kollel.. The Kollel creates a strong and vibrant Jewish community for students attending University in Vancouver. We offer everything from weekly Shabbat dinners to engaging Jewish educational opportunities. We offer Jewish cultural and social events and have become the place in Vancouver to connect to the community, our heritage, and other Jewish people. All Jewish students from all backgrounds and affiliations feel at home at the Kollel. If you'd like to stay up to date with the current happenings at the Kollel, feel free to join our email list by clicking here. 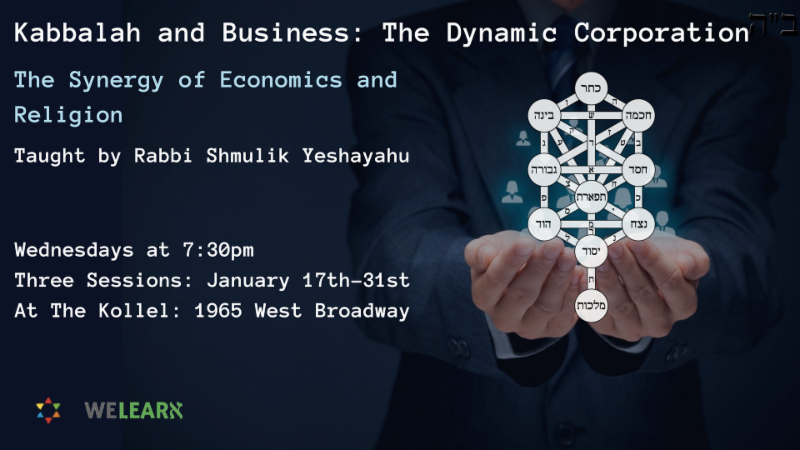 To contact Rabbi Shmulik Yeshayahu directly, call (604) 780-5878, or contact us. Navigate your soul as we study the ancient teachings of the Jewish mystics and their contemporary applications to our modern lives. Transform yourself. Class is ongoing and can be joined at any time. The Kollel has many small classes throughout the week. To join an existing class or to start a new one, please contact us and we would be delighted to accommodate you. To join a class or to set up another individual class, contact us. Stimulating discussions based on the weekly parsha: each day will have a different perspective: Philosophy, Talmud, Kabbala, and Halacha. Course on the foundations of Jewish life. Blending the spiritual and the practical, “Judaism 101” will deepen your knowledge and appreciation of Judaism and hopefully whet your appetite for continued growth and study in pursuit of your heritage.